Crab Apple Creek Flower Co. 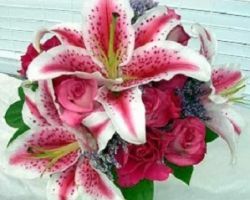 Unlike many other flower shops, Crab Apple Creek Flower Co. strives not only to provide the best floral arrangements but also superb customer service. This is just one of the reasons that customers come back time and time again to these expert florists. 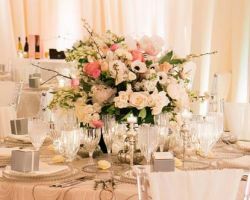 Tami Kramer, the owner and designer, has a true passion for weddings and believes it is a privilege to be a part of one. 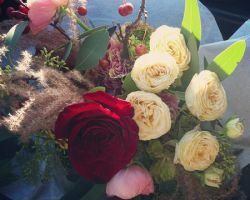 She also offers flower delivery in Denver, to make sure her flowers arrive exactly as she arranged them. Your first consultations with Ed Moore Florist will be enlightening as well as stress relieving. 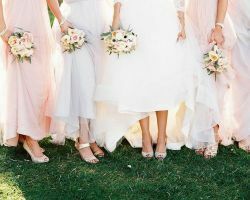 Not only will their team explain all of your options and which part of your ceremony and party will benefit most from their arrangements, but also they will work through your budget with you. You will be able to choose from their extensive range from classic traditional bouquets to extravagant displays containing exotic Spanish flowers and others from around the world. The flexibility of Ed Moore Florist means you can get exactly what you want without having to compromise at all. Over five decades of experience of supplying flowers in Denver, CO, has enabled Veldkamp’s Flowers to gain connections with the best flower farms in Colorado. These contacts mean that their flowers will never be of a cheap or poor quality but are the finest and freshest flowers available on the market. Add to this their nationally acclaimed floral design team and you have a florist which will pass all expectations when it comes to your wedding flowers. Veldkamp’s Flowers also has a great Denver flower delivery service. There are many florists throughout Colorado that supply regular traditional flowers. Very few of these wedding flower shops specialize in unique or exotic blooms, like The Twisted Tulip does. Only hiring the most talented designers from across the country, this florist guarantees that their flowers will make any event even more beautiful. Having been awarded a number of publications, you can rest easy that your wedding flowers are one less thing you need to worry about for your special day. Being a proud local Denver florist, Tussie Mussie Floral Design have developed and honed their service to best provide their community. 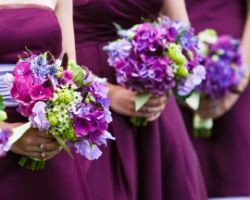 Having working with a great number of the venues throughout the city, they have unique knowledge of how their arrangements should be set out to best complement the location. 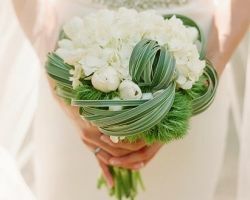 They personalize their bouquets to not only fit the color theme of the wedding but also the style. By placing herbs amongst the flowers they will give off an aroma to match the feel of the day. Tussie Mussie has thought of everything. At Swank Stems they believe that their flowers are an essential part of the event but must blend in and complement the overall style. They are not the kind of flower shop that delivers the flowers without consulting the couple. First they will find the exact matches for your type of wedding. Then they will deliver the arrangement and place them throughout your venue to maximize the effect the flowers have on the decoration. Swank Stems creates art with their blooms and you will not regret having invited these artists to supply your wedding flowers. 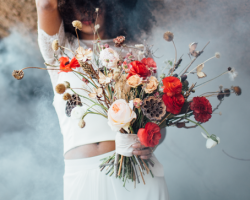 Drawing inspiration from times gone by, Stephanie Clark as the owner of Lalé Florals has implemented vintage and fancy styles to fit contemporary wedding themes. She uses a combination of foliage, fruits, various wild materials and of course the freshest flowers to create stunning arrangements which will have all of your guests in awe. For the couple that want flowers that are truly unique and an artist who knows how to tie them into your overall theme, then Lalé Florals is the only choice. The team at Pink Posey Design Co. decided that they wanted to supply only the best. 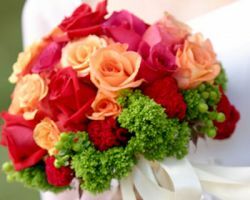 This means that all of their bouquets are upscale and are for those who truly appreciate floral beauty. Each flower is hand-selected so you can rest assured that the arrangements at your wedding will be flawless. They offer traditional wedding flower supply but also can provide breath-taking flowers for: elopements, destination weddings and for your proposal. No matter what your flower needs are, Pink Posey Design Co. has you covered. 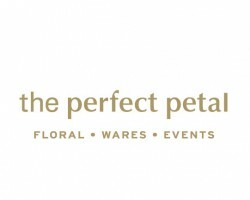 To be able to find a florist to supply you with wedding flowers who is passionate about their profession is priceless. Nora has been working in the floral industry for several years and is in love with supplying the freshest and most beautiful bouquets in the business. 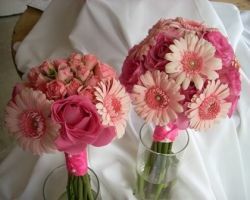 Having studied under some creative flower geniuses, she has grown an impressive talent for creating wedding arrangements. You can browse her many past weddings and you will be convinced that Nora is your only real choice if you want a contemporary floral theme.